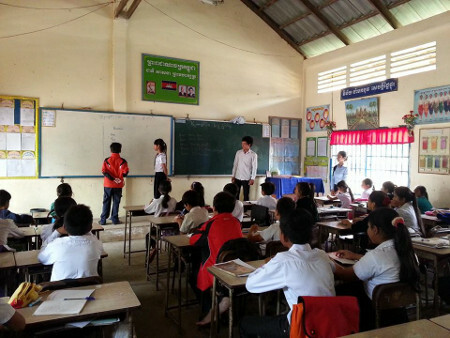 The Global Peace Foundation with the support of the Cambodian Primary Education Department of the Ministry of Education, Youth and Sports has launched a one-year “Basic English” language instruction program for primary school students. The program is being piloted in the Meanchey District in Phnom Pehn, the capital city of Cambodia, targeting limited-resource primary schools. 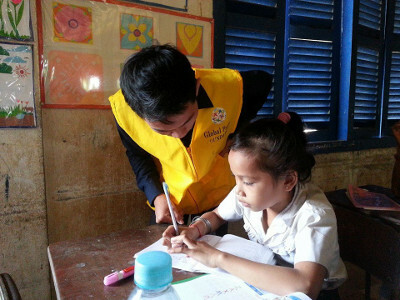 A Global Peace Foundation volunteer instructs a primary student during English class. In December 2013, several youth from Cambodia participated in the International Young Leaders Assembly hosted as part of the Global Peace Convention in Kuala Lumpur, Malaysia. Since then, Global Peace Foundation leaders from Korea, Malaysia and the Philippines have invested in the building the youth’s capacity, both as visionary leaders and as organizers. This Basic English project is an outgrowth of these efforts. The project addressed a major goal of the Ministry of Education – basic English language instruction. English capacity is becoming increasingly important for Cambodia's development. Cambodia, including its education system, has struggled to rebuild from the devastating effects of the Khmer Rouge, an extremist communist regime that took power from 1975-1979. The Khmer Rouge targeted the cultural, literary, and artistic institutions and educated classes, and in the process largely dismantled the educational infrastructure in Cambodia. The Cambodian government has worked to rebuild the system with the aid of NGOs and international support. The growing use of English as the primary language among member states of the Association of Southeast Asian Nations (ASEAN) also makes it critical for Cambodia to acquire English language capacity as it enters the international market. The project is bringing together spirited young leaders from around the capital who are taking on the ministry’s challenge and opening new doors of opportunity to contribute to the nation’s development. 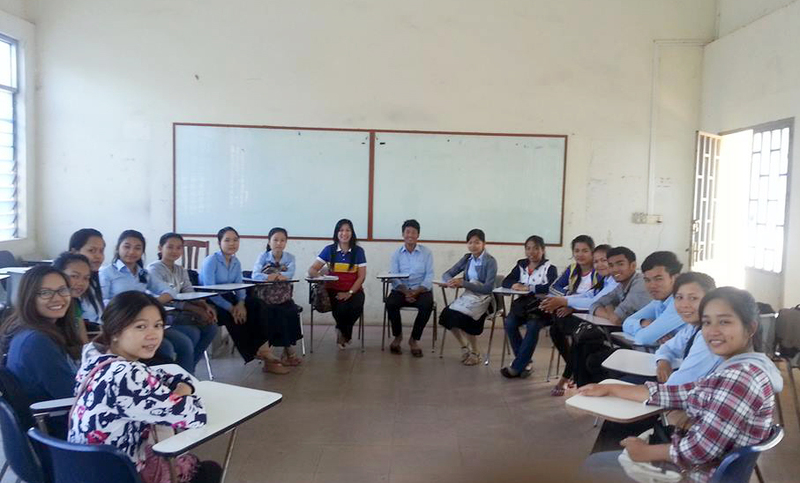 The first cycle of teaching has already begun with the support of college-age students from over an impressive list of universities such as the Royal University of Phnom Pehn, Institute of Technology of Cambodia and the University of Phthissastra. College-age students from an impressive list of Cambodia universities. Besides facilitating English literacy programs, the Global Peace Foundation plans to implement character education programs, environmental conservation projects and health seminars. To enlist additional volunteers, the Global Peace Foundation will implement its signature multi-faith, multi-cultural leadership building program, Global Peace Volunteers, successfully run in Indonesia, Malaysia and Nepal. Global Peace Volunteers uses service and volunteerism as a platform to cultivate character and leadership, as well as provide participants with a real-life experience of the culture of One Family Under God. This exciting project is bringing together the future leaders of Cambodia in a shared dream for their nation.